This production was shown on U.S. television as part of the Hallmark Hall of Fame series on December 11, 1984. The TV version had several additional scenes, including one longish sequence of Armand and Marguerite in the country walking past a church and seeing a wedding and one of Armand and Gaston in a drunken celebration. 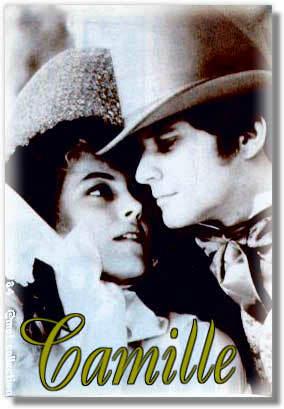 The film is based on the classic novel La dame aux camelias by Alexandre Dumas fils. It tells the story of the doomed love affair between a Parisian courtesan and her young lover. 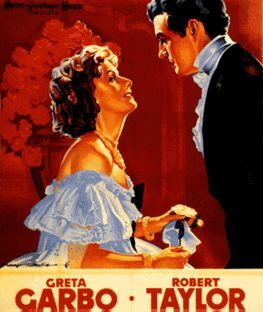 The plot is familiar from other film versions such as the classic 1937 production with Greta Garbo, as well as from Verdi's well-loved, often produced opera, La Traviata. Marguerite Gautier (Greta Scacchi) is a beautiful young woman who lives the high life as a kept woman in the Parisian demi-monde, keeping company with aristocrats and the monied men. Armand Duval (Colin Firth), from a middle class family, crosses her path and falls hopelessly in love. Marguerite, obviously attracted by his devotion and his desire to care for her, abandons herself to him. And the lovers go off to the countryside-leaving the world behind them, at least temporarily. Confronted by Armand's father and asked to give Armand up in the young man's best interests, Marguerite makes the ultimate sacrifice and abandons Armand, leading him to believe that she is going back to her former lifestyle and lovers. Feeling crushed and betrayed, Armand returns home to his father. When the opportunity arises, Armand seeks revenge. In this filmed TV version, when Armand returns to Paris and Marguerite sees him with another woman, she declares her love for him. He asks her to sleep with him and then insults her by sending her money the next morning. He then goes off to work in Egypt, still obviously smitten by Marguerite. Some time later, by chance, Armand learns that Marguerite is dying, and he rushes back to Paris. By the time, he returns, she is on her deathbed, too ill to be aware of his presence. Armand apparently remains faithful to Marguerite's memory as we see him in a final scene as an old man putting flowers on Marguerite's grave. The film seems like a made-for-TV movie in its rather shoddy production values. Bottom line: It has excellent actors (in addition to Colin, Academy Award winner Ben Kingsley, John Gielgud, Denholm Elliot, and Billie Whitelaw) however, neither the script nor direction is quite as wonderful. This film tries to update the classic story. There is an attempt to complexity what is basically a melodramatic novel for modern audiences: we see Marguerite in an opening sequence, being abused by her father and then leaving for Paris. This attempt to explore Marguerite's motivation may actually be a detriment; see the discussion of Garbo's Camille, whose character is established as light and capricious at the very beginning. And we also see a bit of her story before she meets Armand-she becomes the lover and model for a painter to escape starvation on the streets of Paris and is taken under the protection of a rich duke (John Gielgud), whose dead daughter she resembles. She even accidentally runs into Armand on the street but neither remembers the encounter! Unlike the 1937 movie with Greta Garbo, which is so discrete and hemmed in by screen codes of the 1930s, this film actually shows the lovers in bed in a couple of scenes! An early bed scene suggests that Marguerite finds Armand both emotionally and physically satisfying. The 1984 version does, however, have bits from the novel that are eliminated in some other productions; such as Marguerite's keeping a journal to be given to Armand after her death to explain her apparent rejection of him. The journal is the basis of the voice-over in the opening scene of the TV film. 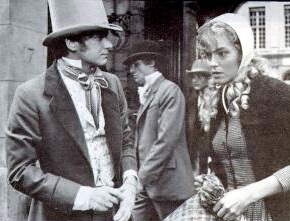 Colin has a major role in the film, as Marguerite's lover. Colin is at his most boyish (except for perhaps Dutch Girls). The boyishness helps establish the character's immaturity and contributes to the believability of Colin's Armand as one who would sacrifice all for love. However, the passionate side of his character seems less emphasized, and there's little spark between him and Greta Scacchi. Colin does get to be angry and even cruel in some of the latter scenes, but what characterizes the role for me would be all of Colin's delightful smiles: the smiles when he and Marguerite are in bed in the country, the smile when he shows Nanine the glass flower that he has gotten for Marguerite, the smile in the park after Marguerite invites him to see her. the grand old age of 29). * The name Camille, commonly used for the story, is actually a misnomer. According to the introduction to one English translation of the novel, here's the origin of the error: The first American translator of the Dumas book in the mid-1800s titled it this way, although there is no character named Camille in the book. The direct translation of the Dumas title would be "The Lady of/with the Camellias." * The scriptwriter, Blanche Hanalis, also did the script for the Hallmark Hall of Fame production of The Secret Garden in which Colin had a brief role. 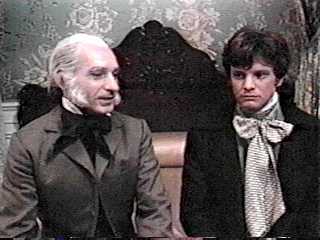 * This role is the only one in which Colin plays the same character at a much older age. * Natalie Ogle plays Armand (Colin's) sister. She played Lydia in the 1970s BBC version of Pride and Prejudice. *Rachel Kempson is the maternal grandmother of Natasha Richardson, Colin's co-star in A Month in the Country and Hostages. 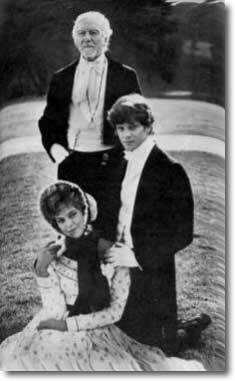 She is also the mother of Vanessa, Lynn and Corin Redgrave and widow of Sir Michael Redgrave. * The Signet Classic novel of Camille (still available in bookstores in the U.S. in 1999) has production stills from the TV film in it. Nothing is so wasted here . . . as the viewer's time. This soap-operatic version might well have fit in a single episode of "Days of Our Lives." Instead, it is taffy-pulled into a seemingly endless two hours-while an annoyingly vapid and repetitive sound track keeps insistently reminding us that this is a poignant love story. And a good thing, too. Because neither Greta Scacchi in the title role nor Colin Firth as Armand seems able to raise the proceedings above the romantic fervor to be found in your average Close-Up Toothpaste encounter. 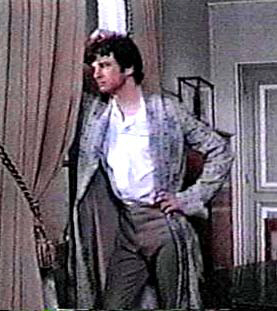 The scene of Colin standing by the window-it's a wonderfully posed S curve (a classic French style). Poor Armand's upset and depressed because Marguerite's sick and she hasn't noticed his existence. 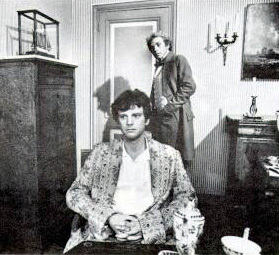 The scene where he shows the servant the glass flower he has bought Marguerite for her birthday. The scene in bed with Marguerite where they joke about his future career. The book La dame aux camelias, written by Alexandre Dumas fils (the son of the author of The Three Musketeers) was published in 1848 and was immediately popular. For example, it was made into an opera less than five years later (see below). Considered a social document during its time because it treated the life of a courtesan of the Parisian demi-monde, it probably strikes the modern reader as sentimental and a far cry from the realism of its near-contemporary, Flaubert's Madame Bovary (1857). The novel was a bit of scandal since the person who seems to act most nobly in it is a prostitute, and the novel was in part an indictment of the bourgeois morality of the time. In the book, there's a first-person narrator. 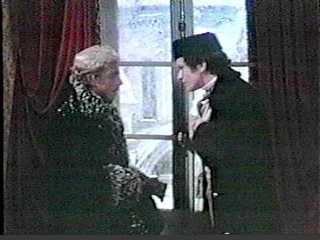 The narrator encounters Armand as the result of buying a copy of Manon Lescaut (the classic 18th century novel about the forbidden love between a fallen woman and a respectable young man) at the sale of Marguerite's goods. It turns out that Armand had given it to Marguerite and wants it back as a remembrance. A great white shroud covered the corpse, closely outlining some of its contours. This shroud was almost completely eaten around at one end, and left one of the feet visible. . . . It was terrible to see, it is horrible to relate. The eyes were nothing but two holes, the lips had disappeared, and the white teeth were tightly set . . . yet I recognized in this face the joyous white and rose face I had seen so often. After this scene, not surprisingly, Armand collapses-but he does survive. Set in an oval of indescribable grace, two black eyes, surmounted by eyebrows of so pure a curve that it seemed as if painted. . . . The hair black as jet, waving naturally or not, was parted on the forehead in two large folds and draped over the head, leaving in sight just the tips of the ears, in which glittered two diamonds, worth four to five thousand francs each. How it was that her ardent life had left on Marguerite's face the virginal, almost childlike, expression, which characterized it, is a problem which we can state but state, without attempting to solve it. . . ..
Marguerite was always present at every first night, and passed every evening either at the theatre or a ball. Whenever there was a new piece, she was certain to be seen, and she invariably had three things with her on the ledge of her ground-floor box: her opera-glass, a bag of sweets, and a bouquet of camellia. For twenty-five days of the month the camellias were white, and for five they were red; . . . she was never seen with any flowers but camellias. magnificent profile and her ethereal costumes. Garbo is established right at the beginning of the film as carefree and capricious-buying camellias at a dizzingly pace. The believability of the film is enhanced by Greta's classic, arresting beauty and a good performance by Robert Taylor (one of his best performances in my opinion and who plays a more mature Armand. He is blessed with some sharper lines and verbal repartee with Marguerite). Garbo was nominated for an Oscar for this film, but didn't receive the statue. Verdi's opera, La Traviata, was first performed at La Fenice in Venice, in 1853, and has become a classic on the opera stage. I call it the "sing-along" opera as practically all the music is familiar to anyone with even a casual interest in opera and goes from one classic song to another-the opening drinking scene (Libiamo ne' lieti calici), the lovely duet between Violetta and Alfredo in the first act (Un di, felice, eterea), the father's aria about his home in Provence in the second (Di Provenza il mar), and one of my favorite duets, Parigi, cara, noi lasceremo, from the last act, where the couple sing of a vision of a better future life outside of Paris. The opera was made into a fairly good film by Franco Zeffirelli in 1982, with Placido Domingo as Alfredo (the Armand role) and Teresa Strattas as Violetta (the Marguerite role). To accompany his full, loose hairstyle, Armand wears lightish-color beaver hats, which to me are not the most attractive-give me the Darcy beaver hats anytime. And is the tropical hat the widest brimmed hat he wears in a film? And isn't the Russian hat one of the silliest? * Other photos from Signet edition of Camille, Roadshow (Japan.) and TV Guide (US). Garbo Camille lobby card courtesy of Bunster.